The Star Wars Blurays are out. I’m not getting them. And not because Darth yells “Nooooooo” or because Greedo shoots first (or whatever). Simply, I’ve seen them enough times now. I’m done. No, not done in that smug, grown-up “Star Wars is for kids” kind of way, trust me I’m as juvenile as ever. I still love lightsabers, I giggle like a schoolgirl whenever someone says “titmouse”, and I listen to the Mega Man 2 soundtrack on repeat. I’m right down with you nerds. I’m just at a point where I’m thinking it’s perhaps time to throw my love on something else. Note how R2s hologram is actually white in the original version, vs. slightly bluish in the “enhanced” version. I totally cancelled my Bluray preorder when I saw this. George Lucas, you ruined my childhood! That would be me if not for the fact that I discovered other sci-fi television. Turns out, if you have 400 hours to spare, instead of restoring the original version of Star Wars to HD, you could watch every episode of Star Trek ever made! Think about that for a moment. 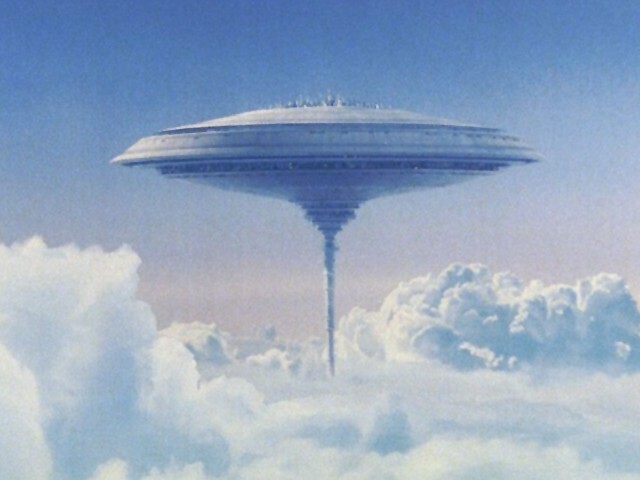 Still, once you’ve seen Cloud City, you’ve seen Cloud City (that is to say, once you’ve seen Cloud City in all three four versions, you’ve seen Cloud City — but don’t worry if you haven’t, they’re pretty much the same save for a tibanna gas refinery). And say what you will about Star Trek, but that Kirk got down with the ladies, even green ones. And not one of them were his sister! That may not be a metal bikini, but it sure deserves being restored in HD more than the original Star Wars does. Next time you get an irresistable urge to spend 400 hours on restoring Star Wars to the way it was meant to be, consider if maybe that time was better spent watching Star Trek or Buck Rogers in the 25th Century (season 1). You could also watch Space 1999. Or UFO. Or even the original Battlestar Galactica — heck, any Glen A. Larson show. You could even watch Patrick Duffy as The Man From Atlantis! Patrick Duffy! (It’s all in this pamphlet). You must do what you feel is right, of course. But sometimes we must let go of our pride and do what is requested of us. It all starts with a choice. A choice to spend your credits not on more Star Wars. Instead, roll up your blinds and let in the light! Then roll them down again and put on Buck Rogers. Season 1. 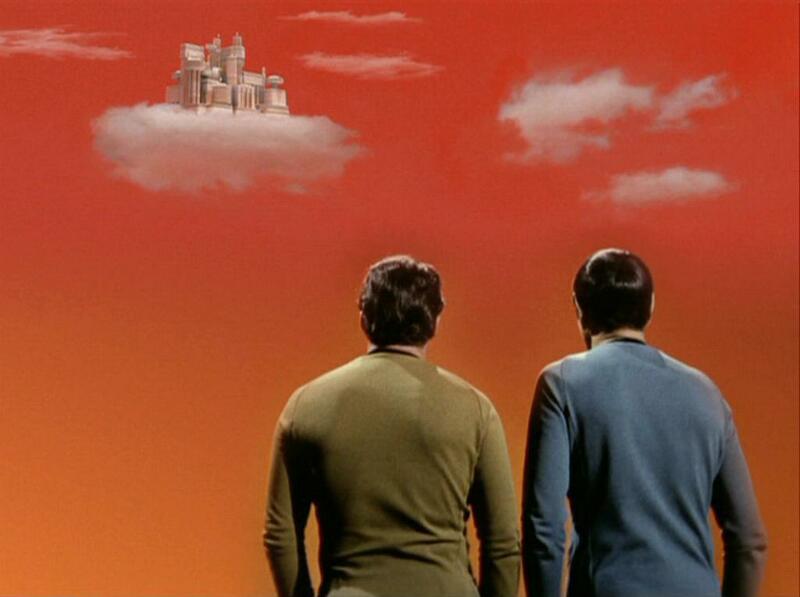 At least the Star Trek cloud city is on a cloud! Stay tuned once the Star Wars TV show goes on air! Air Man theme for life. I think Brokeback Mountain, of all films, said it best: “I wish I knew how to quit you”. Apparently George Lucas thinks Sebastian Shaw is replacable. I sit here and try to get iCloud in my “mind” and try to understand how it works and i find the Cloud City, does Mr Jobs work there now?